Cross is the poor soul who comes to life in the body Christ left behind when he shuffled off this mortal coil. Cross can use all the powers of Christ’s body, but there’s one catch: he needs heavenly grace to power the body. The only way he can get it is by killing the angels stranded on Earth and draining them of their grace. So, yes, we’re in anti-hero territory here. But Cross isn’t all bad. He’s loyal to his friends, which include the likes of gorgons and faerie, and even some literary characters such as Alice from the Alice in Wonderland tales. Needless to say, his friends get him in a lot of trouble. The series begins with The Mona Lisa Sacrifice, which follows Cross through the centuries as he tries to hunt down Judas. It turns out Judas is actually an ancient trickster god who’s made it his mission to ruin humanity — and to destroy everything Cross loves. Cross’s quest leads him into the middle of a holy war between the angels left on Earth, and that’s when things truly go to hell. The second book in the series, The Dead Hamlets, checks in with Cross shortly after the events of The Mona Lisa Sacrifice. Cross has managed to fall under the spell of the faerie queen, one of his ancient enemies, and she puts him to work hunting down a ghost that is killing her subjects. But all is not as it seems. The murders lead Cross into a strange and eerie mystery populated with an eccentric and deadly cast of characters, including the Witches of Macbeth, the undead demon hunter Christopher Marlowe and a very supernatural and very deadly Shakespeare. When Cross discovers a startling secret about the origins of “Hamlet” itself, he finds himself trapped in a ghost story even he may not be able to escape alive! The Cross books are published by ChiZine and have received rave reviews. The National Post called The Mona Lisa Sacrifice “a deliriously unhinged roller coaster of a novel, blending fantasy, history, horror and humour with the aplomb of an overfull blender, but all of it smarter than it, truly, has any right — or need — to be” and Publishers Weekly said “The novel never lets the reader pause for breath . 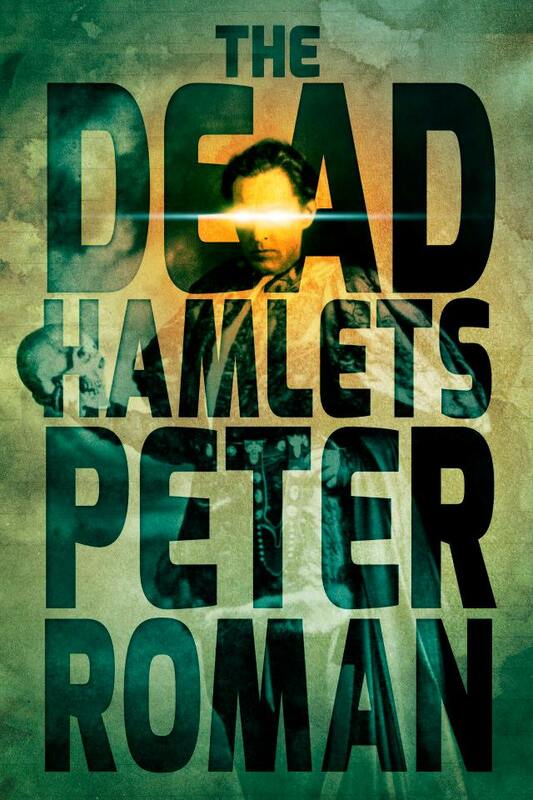 . . fans of the genre will find one of its ultimate expressions here.” Early reviews of The Dead Hamlets have called it “A Rewarding, Witty, Hot Mess of Angel-Pummeling, Action and Noir Detective Fiction” and said it “resembles something written by Neil Gaiman at times with its somewhat mystical imagery and at other times it reads as a full-blown work of bizarro fiction.” I blush. I’m currently editing the third Cross book and outlining the fourth. I’ll have more about those on the blog in the future. 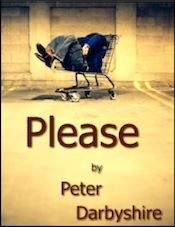 I’ve also written a couple of literary fiction novels as Peter Darbyshire. My first book, Please, won Canada’s national ReLit Award for best novel. Please chronicles the life of a young man who drifts through a hallucinatory urban world filled with celebrity wannabes, addictive relationships and jobs that demand he become someone else. 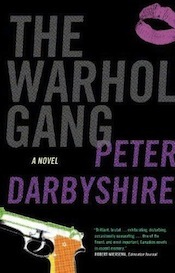 Booklist said “Darbyshire plumbs the murky regions of the soul in a novel of dark brilliance,” Kirkus called it a “hilarious social satire of daily life among the young and nihilistic” in a starred review, and The Globe and Mail said it was “a consummate critique of all the creeping human weaknesses, counterfeit values and trend-driven desires that steadily erode our hopes for meaning and purpose.” I just thought I was writing about my own life. Go figure. I’ve also published some short stories, if that’s more your thing. Hey, I don’t judge. I have an irregular newsletter that I send out through the TinyLetter service. You can sign up here. I can be found at the usual social media hangouts online. The links are at the top of the page. Thanks for reading. I hope you’ll stick around! 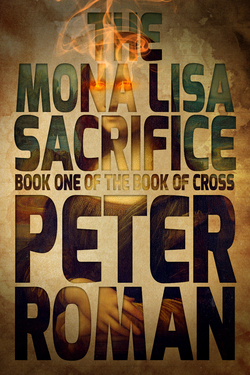 Posted on February 17, 2015, in Peter Roman, The Writing Life, Writing and tagged Peter Roman, the dead hamlets, the mona lisa sacrifice, The Writing Life, writing. Bookmark the permalink. Leave a comment.